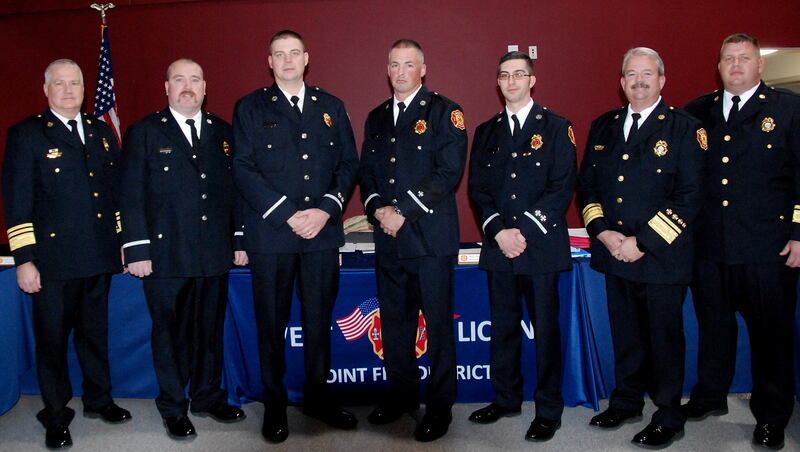 A Pinning and Promotion Ceremony was held during the November Fire Board meeting at the new Station 2 facility. 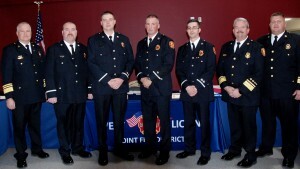 The Fire Board and Administration recognized and honored the Pinning and Promotion of four current full-time firefighters to Lieutenant, as well as the promotion of four new full-time Firefighter/Paramedics from part time status. Congratulations to all! This article was posted in News. Bookmark the permalink. Follow comments with the RSS feed for this post.Post a Comment or leave a trackback: Trackback URL.